Technological innovation witnessed in recent time has continually imparted people’s online experience whether as a service provider or as a consumer. One among the array of the technological advancement is the emergence of WordPress, which happens to be a top-notch and less complicated content management system (CMS). For those that are not conversant with WordPress, it is a convenient means of creating an attractive, practical and user-friendly website that best suit one’s business. However, since its emergence, users have always been finding additional ways of maximizing its uses through its local installation on the system. You probably think why the need for the local installation of WordPress on your system, right? It is simply because it brings about an enhanced convenience and functionality in performing specific tasks such as installing new themes and plugins, as well as locally backing –up among many others. Having seen few of the importance attached to installing WordPress locally on Windows, it has also been found that WAMP happens to be a suitable medium for effecting the installation. But what is WAMP and why is it a preferred choice? WAMP is a free Windows Web Development software stack for Windows operating systems; and this consist of Apache and PHP among others. It helps relevant users in locally setting up of servers on various windows systems. Besides, its light-weighted features make it an easy-to-use option, and can as well be installed on all versions of windows irrespective of a system being 32 or 64-bit platform. However, the overall reason for it being a preferred choice for some users is due to its interface preferences and convenience. So, how can you execute the installation of WordPress with WAMP? Installation of WordPress through WAMP requires a specific process, and since two (WordPress and WAMP) major applications are involved here, it becomes pertinent to execute the installation process based on priority. And based on the requirement of the installation, the WAMP is needed to be installed first before moving on to the installation processes of the WordPress itself. In starting this process, it is assumed that you are yet to have a WAMP on your PC; you need to get one on your system or by simply visiting the WAMP server website to download. You should also note that it is way better to download afresh from the WAMP site so that you can always have an up-to-date version of the software. 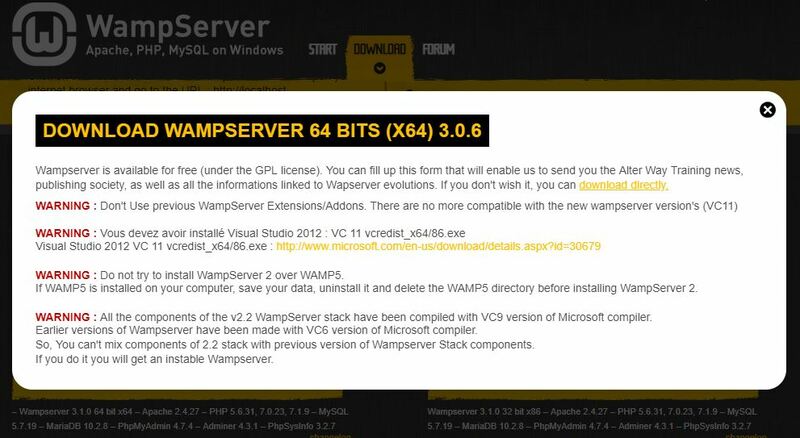 When on the WAMP server site, just scroll down to the download section where you will see an option to download the 32 bit or the 64-bit version based on your operating system. Choose accordingly, but if you are not sure at the moment of the bit your system runs at the point of downloading, you can alternately go for the 32-bit download option because it can work on both 32 and a 64-bit system. Clicking on the download button brings up a prompt double checking if you have specific software such as the required Visual studio, but if you have, just go ahead with the WAMP server download. When the download is completed, double-click on the file to initiate the WAMP installation. The installation prompts will guide you through the installation process. Once the installation process is completed, you should see a green icon on your computer’s taskbar; and that indicates everything is working accurately. 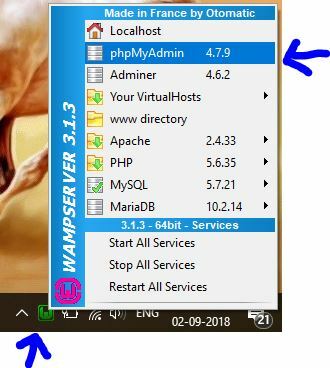 Start this process by clicking on the active WAMP icon on the taskbar, and a dialogue box containing options such as Localhost and phpMyadmin among others will show up. 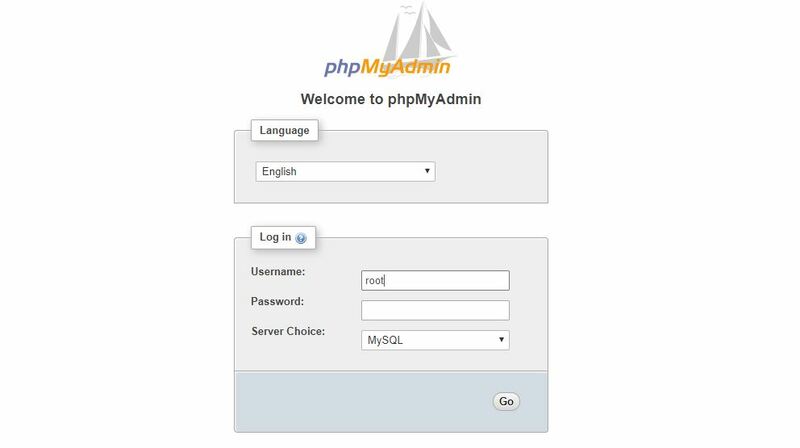 Click on phpMyadmin, then type in ‘root’ as your username, and leave the password section blank. And click “Go” to move to the next stage. This section is where you configure your database, such as inputting your database name, e.g., ‘test_one’ and other information as you deem fit. Then click on ‘Create’ to complete the second phase the WordPress install with WAMP. Go to the official WordPress website, to download a fresh copy of WordPress which does not take too long to do. Locate the WordPress zip folder download, and extract the file into this path C:\wamp64\www folder in WAMP folder which will be on the ‘C: Drive,’ and if it’s not there, you locate it on other drives. Note, that we already extracted the WordPress into the WAMP, so there won’t be a need to copy and paste into the WAMP folder again manually. You can as well rename WordPress folder to ‘mysite’ or your desired name. Open your browser and visit http://localhost/mysite/, and database of the WordPress will kick-start automatically. Select your preferred language and that would open you up to a page filled with settings of your database. Click ‘Go’ to move to the next screen. This section of the screen will request for certain information of your database. So, in the database section of the fillable page, insert ‘test-db’ (Test database). And that’s’ majorly what will be inserted in this section as your username (root), empty password, datahost and table prefix remains the same. 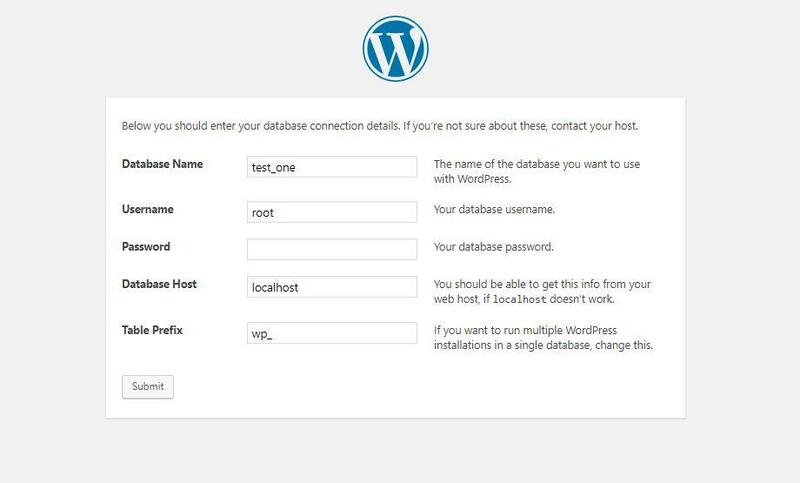 Then click “Submit,” and this means you have successfully linked your WordPress to your database, and you can start the installation process. 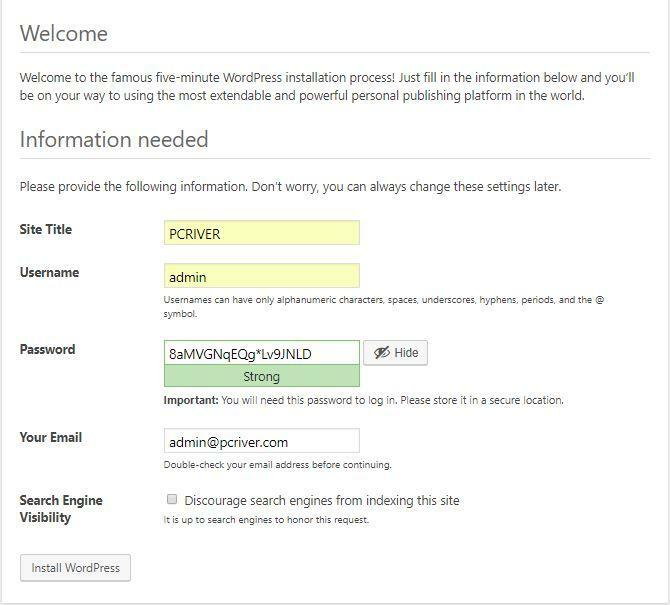 The next screen contains sections for the Site title, username, password, email, and search engine feasibility. Input the required information accordingly. 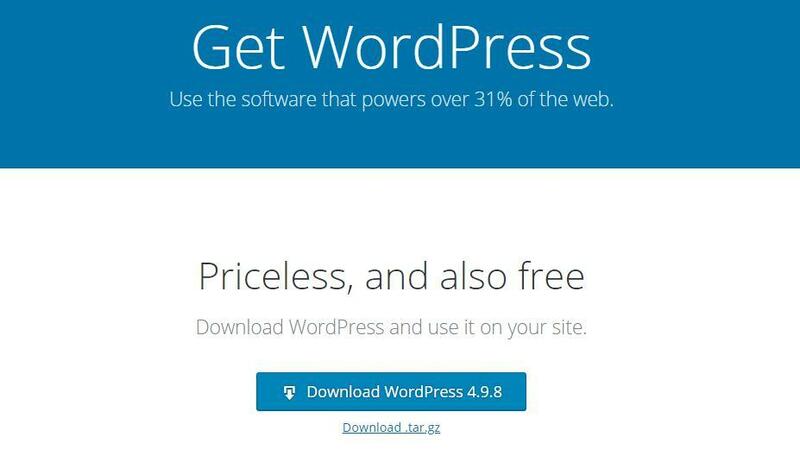 Click the ‘Installed WordPress’ button and allow the installation to run and complete. So, what next than to Log in and start making the best use of the WordPress you have just successfully installed through the use of WAMP. However, don’t hesitate to drop your experience in the comment section below.